From the very beginning, the story of Northrise has been shared one-on-one and in small gatherings. The Northrise story affects everyone in different ways, and the most effective way for your friends to catch the vision is to hear it from you. 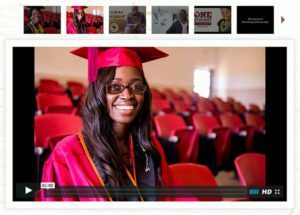 We want to help you share your Northrise story with your family, friends and others who might have an interest in making a difference in Africa. It’s your event, you can make it whatever would be the best gathering for your community. We can help you with the details about Northrise. 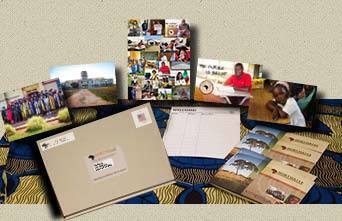 We are making it easier to share the Northrise story with a Resource Kit mailed directly to you! 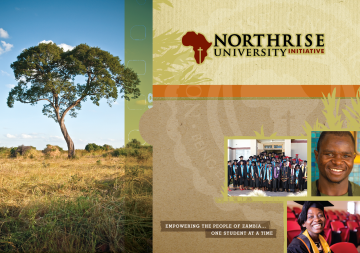 The kit contains current materials about Northrise, response cards to share, pictures and videos to display, and a Zambian Chitenge cloth to enhance the presentation. Download this document for a guide for sharing the Northrise story with your community. 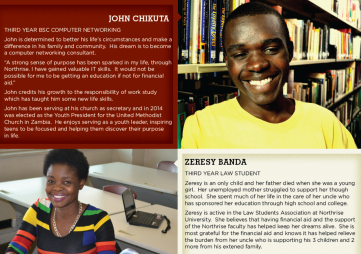 This printable file contains profile of four Northrise graduates who received scholarship funds and have gone on to be of great value to Zambia. Request a kit of printed materials to be shipped to your location, to help your event go smoothly. If you would like some assistance ensuring that you create a great experience for sharing Northrise, Kathy Pipkin is ready to help. She has a great deal of experience in event planning and shares plans and tips for successful events. Need files for official logos for invitations, signage, or presentation? Kelly Young provides both resources and design assistance for your event.